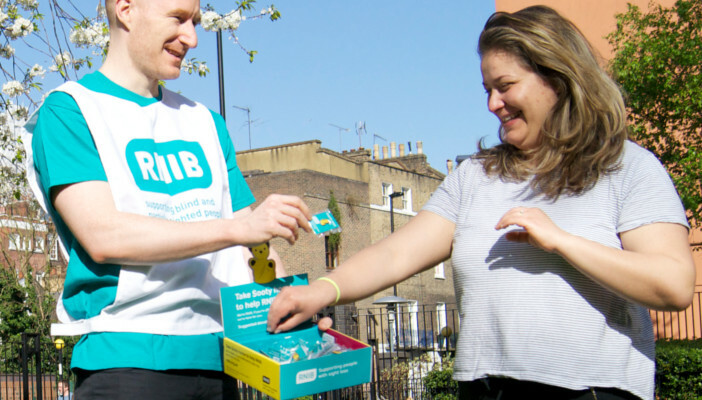 Join RNIB for the world’s most famous marathon and help us support more people with sight loss. The Virgin Money London Marathon is the most iconic event on the running calendar. The 26.2 mile route through the heart of the capital is lined with cheering crowds and takes in London’s legendary landmarks. The incredible atmosphere makes the London Marathon a race you'll never forget! 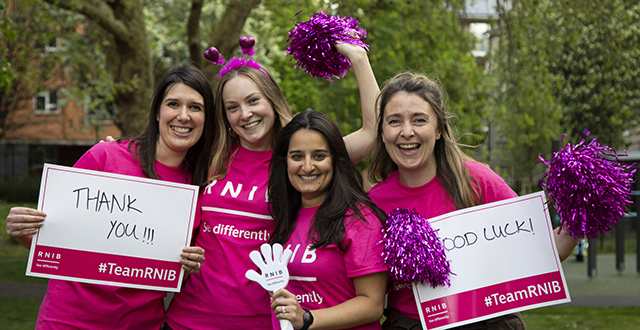 Apply for a London Marathon charity place with Team RNIB. An invitation to our exclusive post-race party for you, your friends and family. You'll also get a post-race massage and a meal too! Every day, 250 people in the UK start to lose their sight. Too many people still face isolation and depression, unable to achieve their potential in a world that blocks their way. We won’t stop until every last psychological and physical barrier has gone for good – from classrooms to workplaces, from local shops to far-flung holidays. Together with your support, we can smash through the barriers that stop people with sight loss thriving. 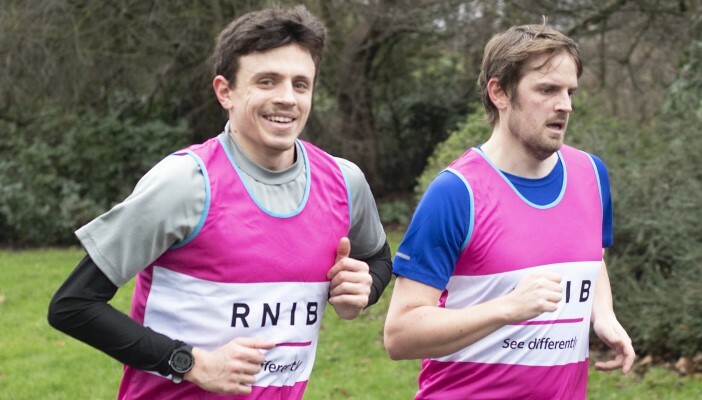 Our fabulous 2019 London Marathon runners have put so much into their training and fundraising and would love your support to spur them on to the finish. Join us at mile 13: The Highway/Tower Hill and mile 25: Embankment to cheer them on. We’ll be armed with t-shirts, pom-poms and clappers so you can join in the fun. 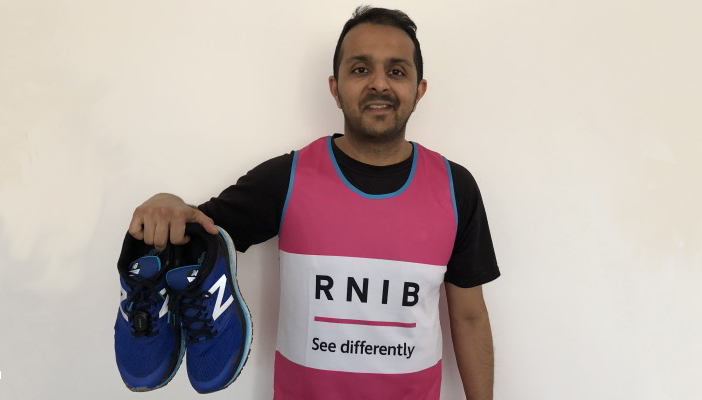 Inspired by Team RNIB 2019? 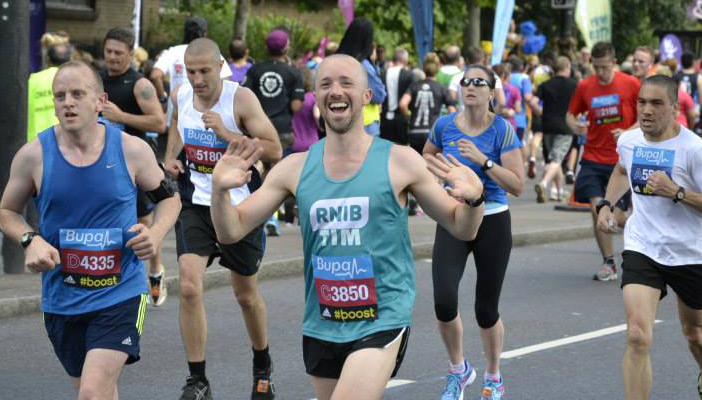 Apply for one of our 2020 London Marathon charity places. 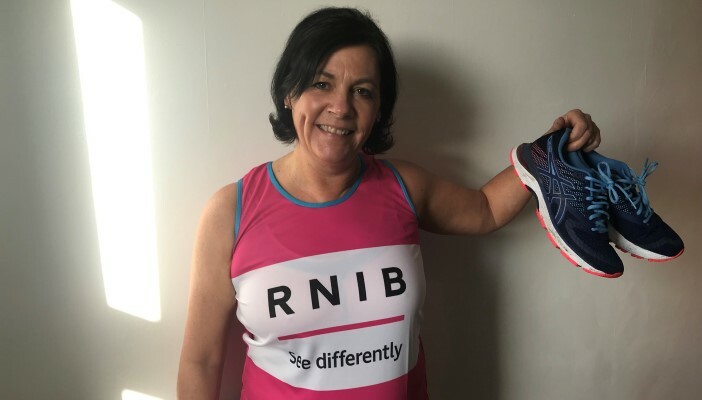 "I wanted to run for RNIB after all the support they’ve given me"
"We feel we have unfinished business with the London Marathon"
"RNIB was there for me and I want to say thank you." 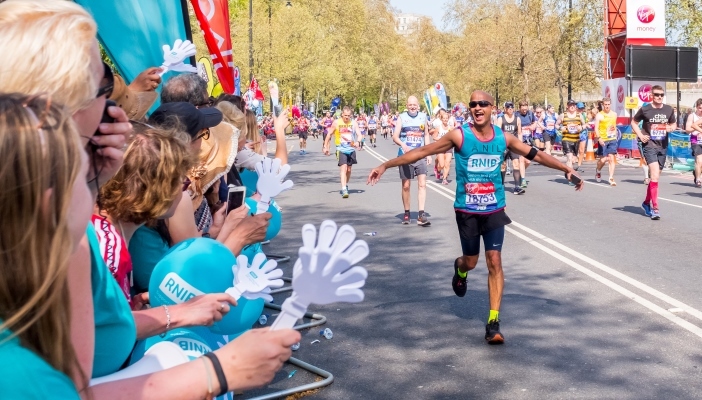 120 runners became part of Team RNIB and ran the iconic 2019 London Marathon. Read our runners' stories. Get in touch with our events team. Complete the enquiry form or call the team on 0345 345 0054 (Monday to Friday, 9am to 5pm). 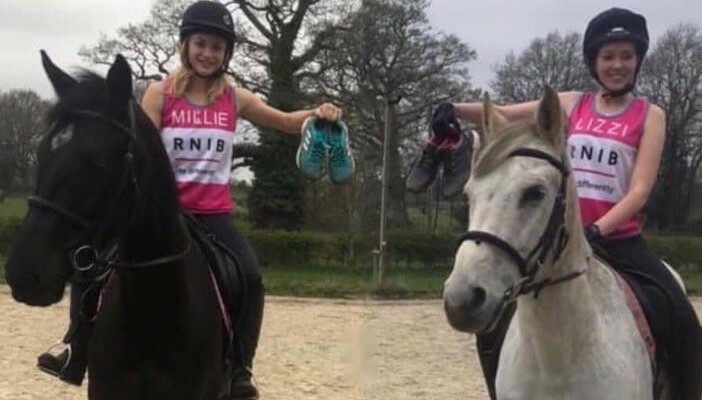 Discover more events including triathlons and treks to help raise money for RNIB. Find out other ways you can help to make a difference with our latest fundraising projects.